Virtual Reality used to be an optimistic, fanciful vision of the future—something that belonged in movies and the imagination of the viewer. 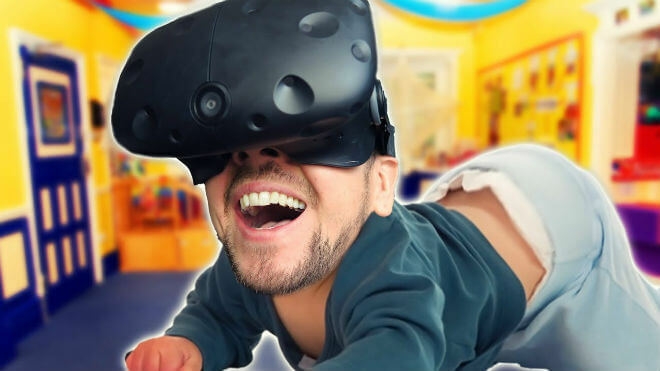 However, with new ideas over the past decade, things like the Oculus Rift, VR is now becoming a very real, viable option for entertainment, namely gaming. 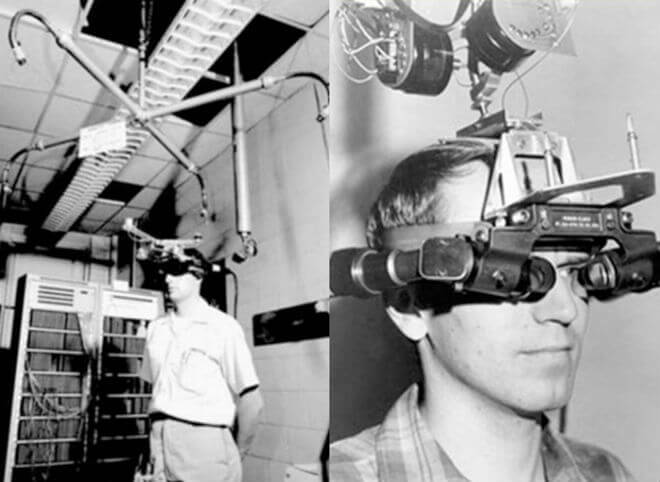 It connected to a stereoscopic display from a computer program depicting simple virtual wireframe shapes, which changed perspective as the user moved his or her head. Because these are superimposed on top of a real background, this could also be seen as the birth of “augmented reality.”” (Digital Trends). Augmented reality is something we may all be very familiar with. The iconic Pokémon Go, launched in 2016, has a dynamic augmented reality system in which the wild Pokémon were made to look as if they inhabited your environment. This created some humorous scenarios in which Pokémon Go players would have to catch the wild animals in unique places. Luckily, Sutherland is still alive to see the groundwork he laid to be developed into something truly breathtaking. One of the first video game publishers to attempt to launch a VR headset was Sega, which planned Sega VR as an accessory for the Genesis. With development starting in 1991 and continuing for a couple years after, Sega VR was an attempt to squeeze more life out of the company’s 16-bit games console. Related: Is Gaming Good For You? The visor-like look owes a lot to RoboCop and The Day The Earth Stood Still, with a sleek black plastic design that concealed LCD displays, stereo headphones, and internal “inertial sensors” for tracking head movement. Unfortunately, it was never released — with one (somewhat amusing) explanation being that Sega worried the virtual effect was too realistic, and people would wind up hurting themselves while immersed. (Digital Trends). What if Sega actually released their tech? Would they be doing better than they are now? Would they have been heralded as groundbreakers like Nintendo was with the Nintendo Wii, creating an amazing pop culture craze? What do you think? I think they should have done it, regardless of the risk. No risk, no reward, especially in gaming. If you’re not innovating, someone else is. Not only is VR viable as a gaming option, it works—and works well. I helped a friend with some homework he had to do in college for a psychology class. He developed a city scenario in VR to simulate a public protest. I was able to rotate my head 360 degrees and see all these little details in the cityscape. It was disorienting only in that I was truly experiencing a different, nuanced world where I felt that anything could happen. I was like a newborn baby curiously and hesitantly becoming familiar with its surroundings. VR has planted itself right in the mainstream, being integrated into exhibits in museums, psychological studies, and therapy. “…the biggest use of virtual reality in clinical settings is probably in the area of exposure therapy and that is probably because the technology is well-matched to the needs of the clinical application. We see with exposure therapy the goal really is about helping a patient, whether it’s due to a simple phobia or PTSD, to engage, to confront and to process difficult, traumatic memories.” (American Psychological Association). This use of virtual reality is not only amazing but shows promise for the future. If you’re experienced with VR, you’ve probably played it at a friend’s house, a tech store, or seen gameplay tech demos. Usually, VR is limited to a headset and possibly a handheld accessory of some sort. However, in an impressive leap forward, the TeslaSuit promises to throw you—yes, your entire body—into the fray. I know, it sounds more sci-fi than reality. I’ll admit, reading about it had me scratching my head, thinking it wasn’t only fantasy, but a joke. 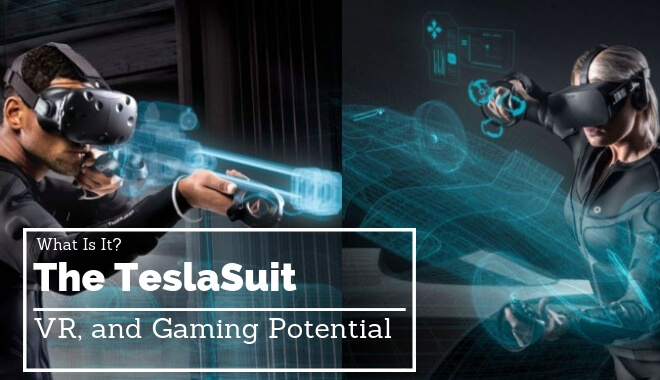 However, Teslasuit is very real. 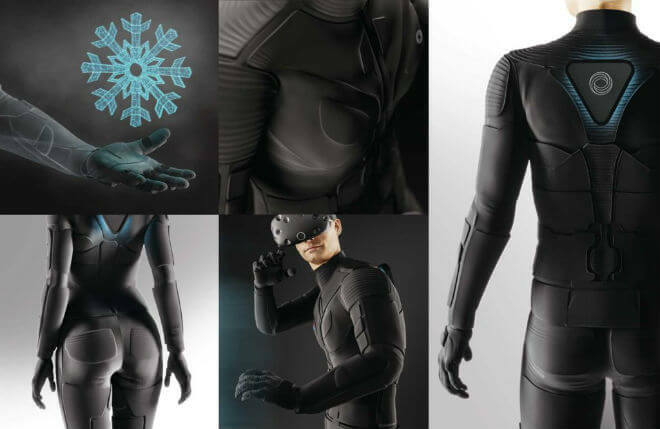 After a few years in development, Teslasuit was officially put onto Kickstarter in 2016. The main facet is the ‘T-belt’, much like a real belt, is basically a giant Fitbit for the Teslasuit. It monitors haptic feedback, motion, and climate. How cool is that? We’re eventually going to live in a world where we can hash out all our gaming grievances in real time, in front of each other, using state of the art tech. Only a few more technological leaps and we’ll find ourselves in the Matrix or Tron. The only possible downside to this technology is the steep price. This sounds all great, but the forefront comes at a cutting-edge price. It was broken down into two different tiers on Kickstarter. You had the ‘Pioneer’ version, which was billed at about $1500 American, and the insane ‘Prodigy’ version. ‘Prodigy’ version has the astounding price of about $2750. With prices like these, is it viable to be at the forefront? Obviously, if you can afford such a price, go for it. But if you’re me and thousands of others, this isn’t some drop in the bucket. Perhaps as time goes on and it becomes more streamlined, the price will decrease. As of right now, the website doesn’t offer any public pricing, and requires you to contact them if you’re actually interested in purchasing, I assume it’s mostly for game developers to collaborate with. When I first read about the Teslasuit, the first thought in my mind was ‘Skyrim’. I can picture it: My Orc barbarian climbs the seven thousand steps up High Hrothgar to answer the summons of the Greybeards. Could the climate control on the suit sense I’m in below freezing temperatures? Wolves and Trolls on all sides. The tension would be overwhelming, but the rush would be worth it. According to the Teslasuit, I’d be able to feel the attacks of these enemies, and the suit would immerse me further into the experience. Not enough to actually hurt you, but enough to make it different from simply sitting on your couch or chair and just simply pressing buttons. Related: Do Video Games Make People Violent? In VR you’re actually wielding something in self-defense, and your bodily movements depend on if you pass trials and tests within the game. However, now your friends can’t use the excuse that their controller wasn’t responding to button touches; now they have to be fast enough on their feet to actually survive. 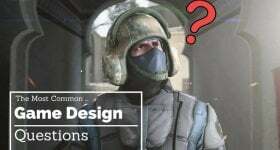 Imagine the detail in which games like those in the Call of Duty franchise or a squad-based game would have. You, along with friends, could enter an intense conflict zone, surrounded by numerous enemies, and you feel—actually feel every hit you take. I know fighting games will never be the same. Feeling a kick or sturdy punch will make you learn from your mistakes. This could also translate to physical well-being, allowing for exercise while playing games. Gaming tournaments will be filled with those wearing Teslasuits and playing the latest iteration of Street Fighter. It raises the stakes at the same time as immersing you safely within the framework of the game. 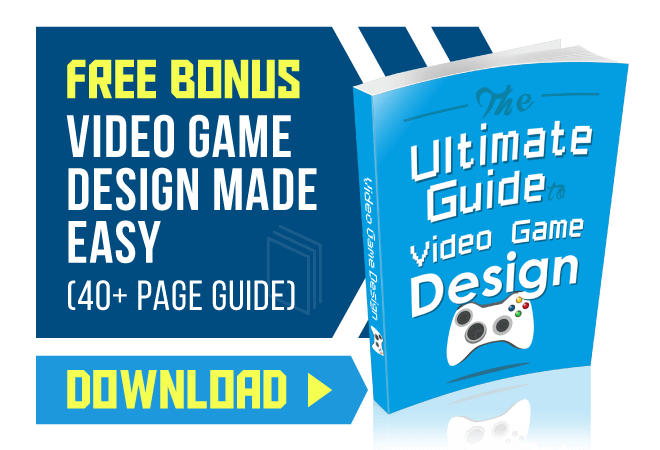 Along with game developers, the United States government had a hand in game developing. America’s Army, developed by the Army back in 2002, was a squad-based combat simulator used to introduce American’s to the Army, how it works, and if the individual thought military would be an option for them. I wonder if the Army will have an interest in the Teslasuit, or if they’re already working together to make a spiritual successor to America’s Army. Whichever age you were when Virtual reality appeared on your radar, it was clear that this sci-fi fantasy was more plausible than flying cars. Now, you have the option to own and wear a full body suit and take your gaming to the next level. Imagine playing your favorite games with the ability to feel the game interact with the suit. I know I’ll be climbing freezing, enemy infested mountains in Skyrim a little more carefully.